You can expect to see a chronicling of Robotology, as well as some details on other projects, plus a whole bunch of randomness too. We'll probably review games we like and don't like, and comment on who knows what else. So get ready, in a kind of general and indiscriminate way! 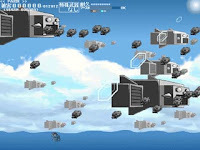 In this game, you'll pilot a ship on a rescue mission in a dream world. This is a pretty large project, and I hope to have it finished in 2007. 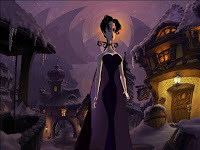 American McGee interviewed by Tale of Tales. 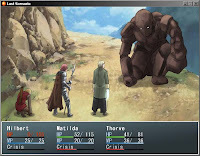 Last Scenario is a game made using the popular RPGMaker XP that could possibly rival Aveyond's level of professionalism, perhaps even surpass it. 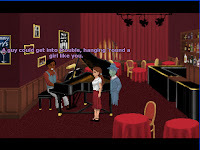 Tiles, music and sound effects are standard material that is included with the package, but most of the character portraits, sprites and backgrounds seen in this release were created by the developer. The C key is used for most interactions and menu selections. Press the X key to access the inventory screen or to cancel any choices. 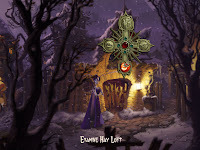 A medium length RPG with over a thousand rooms, side quests, a unique spellcard system and even a collectible board game, it's quite unlikely that any fan would complete this production in a couple of sittings. Chalk is a unique action game by Joakim Sandberg which places emphasis on drawing to solve problems that the player will face in each of the six levels. The right mouse button controls movement, while the left is used to draw lines. Only one line of a certain length can be on screen at any time, determined by a gauge shown at the top of the window display. Geometric shapes can be removed by drawing lines across each of the green dots on them. 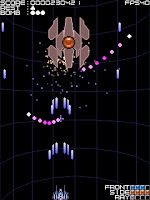 Enemies are destroyed by drawing a line from a purple bullet to a ship. Blue shapes can be picked up and thrown around. Beating all six levels with A ratings unlocks the endurance challenge. DanC over at Lost Garden is issuing a challenge for all indie game programmers: take the excellent tileset that he has created, follow the game mechanic guidelines set out in the challenge, and create a "God" game. If you do, the game will be explored and the things that are learned from it will be fed back into the "challenge". It's a great intellectual and fun exercise for anyone interested in game development. Sandfall is a short demo for an upcoming RPG game with a unique battle system, in which the player can only use one character throughout the entire adventure. Swords are traded for guns in this futuristic western setting, where each bullet is precious and has to be bought or discovered by searching inside boxes. 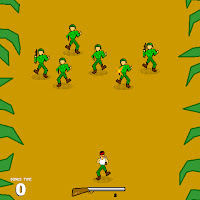 Adversaries cannot be expected to drop items for the player to collect. Shooting at enemies from a distance does not bear the usual rewards of experience or riches, since they will respawn after a short period of time. Money is rare, and cannot be acquired from enemies. A character's level does not increase automatically when experience is gained, instead it must be traded for lessons or new skills by approaching pit fighters and children on the streets. Press the C key to execute an action, or tap the X key to access your inventory screen. Use the alt and enter key to play in full screen mode. Plenty of potential but little is showcased in this teaser, with only two cities and a small cavern to explore. Monty Mole is getting a 3D makeover, courtesy of Smila. Valdis Story is a short 2D platformer with gorgeous pixel art and decent gameplay, though much of the enjoyment will be hampered by either the high resource usage or difficulty in beating certain bosses. 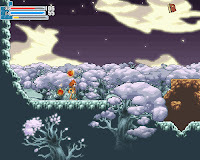 The Castlevania influence is visible, with double jumps, inventory screen and dash moves worked into the game seamlessly to provide a coherent exploration platforming experience. Use the space key to leap, or press the D key repeatedly to attack once a weapon is acquired. Featuring completely original artwork and programmed using Game Maker. The demo contains two playable stages only. Does not work for Vista. 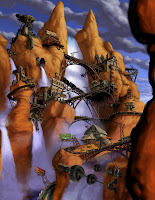 Balloon is a decent action game by N.I which involves a little bit of planning and strategy. 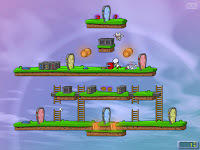 The objective in each level is to guide the balloon to the top of the screen while searching for extra lives, invincibility or bonus items hidden in some of the blocks. Use the Z or X key to shoot in either direction. Press the C key to place a bomb. If the down arrow key is held, your balloon will hover in place until the button is released. Tap the P key to pause, or use the F1 function key to reset the game. Pictured right, another screenshot from Wolverine's unreleased platformer. Chalk reviewed by Inverted Castle. More development notes from the Space Quest 2 remake revealed. 3Punge competition entries available from this page. Certain games require the installation of runtime packages. Doopv is a decent Snake clone by N.I in which the player controls a bird instead of a reptile, but with a similar aim of collecting items while dodging harmful obstacles. Certain items should be avoided whenever possible, as acquiring them could mean adverse effects such as random teleportation or loss of health. Use the cursor keys to change the bird's direction. When an item is collected, temporary invincibility is granted and the duration indicated by a gauge shown at the top of the screen. In Speed Thrasher, you control a car with a skateboarder on tow. Only the left and right arrow keys are used to steer the car. Points are scored by getting the skateboarder to jump off the back of other cars, while grass can be used to time your movements. Yellow arrows provide more speed. A speed boost is awarded when you crash into a beer truck. 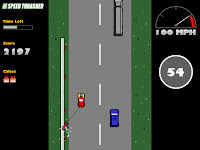 The game ends if you manage to escape the police and cross the county line, or get caught by the long arm of the law. Teaser from Oddbob's latest project. 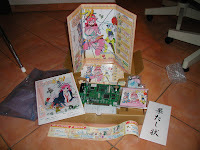 Photos of the complete kit for Muchi Muchi Pork, Cave's latest shooter. Right-click here to save the 6mins gameplay video and scoring instructions. 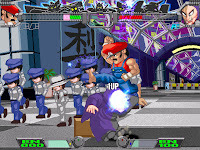 Perhaps one of the most well-known doujin fighters made using the free 2D Fighter Maker engine, Super Cosplay War Ultra is a collection of popular Japanese manga and anime culture all compiled into a comprehensive versus battle game. Much like Capcom's Puzzle Fighter, your character changes to an appropriate costume when a move is successfully executed, then switches back quickly afterwards. A complete set of moves list can be downloaded from the web site. Use the password 'http://www.fkdigital.net' to unzip the file. 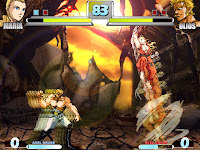 Created using the Enterbrain's popular 2D Fighter Maker, this 160MB download features six playable characters - each with their own individual moves and special attacks conveniently displayed before each battle. Keyboard controls should be configured first before starting a game, since the cursor keys are not mapped to a character's movements by default. Press the F4 function key to play in full screen mode. Quite likely inspired by Hokuto no Ken. Nigoro announces Rose and Camellia. Narcissu Side 2nd is out, the sequel to a fan-favorite freeware visual novel by Stage Nana. 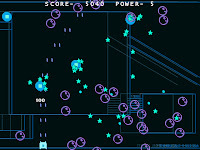 tte-may is a new shooter by N.I, made in the mold of Space Invaders and Robotron but with a mix of the frantic gameplay that Japanese developers are notorious for. Only the Z and cursor keys are needed for this game, but a bit of strategy goes a long way in securing a comfy little spot on the online high score table. Power is deducted whenever your ship takes a bullet, but can be increased by acquiring hearts. Bonus items only appear when you've destroyed a certain number of enemies in a short time. Bombs in the shape of Arkanoid paddles destroys all enemies on screen when collected. Your ship freezes when the last enemy on screen is eliminated, and proceeds instantly to the next stage if the Z key is pressed during this period. 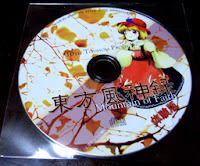 Mountain of Faith is the latest vertical shooter from ZUN, featuring two playable characters and three stages with customary difficult boss fights, the hallmark of Team Shanghai Alice's releases. Hold the Z key to shoot, or press the X key for a special attack. Use this move sparingly since it destroys one of your options and downgrades your weapon by one level. The pause menu is accessible by pressing the escape key. When holding the shift key to activate focus mode, items which are close to your character will be collected automatically. 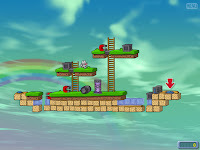 All power-ups on screen can also be collected in a dangerous manner by crossing the item get border line, which is displayed at the start of stage one. The control key can be used to skip cutscenes. 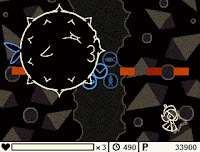 When fighting a boss, a position marker shows up on the bottom margin of the screen, indicating where the boss is on the horizontal axis. d3dx9_31.dll should be placed in the same folder as the unpacked game files. Congratulations to Christopher McC. from California! A signed copy of Mr. Robot and the limited edition mouse mat is headed your way. Thanks again to Moonpod for sponsoring the fantastic prize. You can keep an eye on Moonpod's Mr. 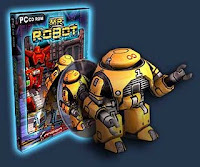 Robot page, the forums or subscribe to their newsletter for the latest news on future contests. XIQ is a game about trapping. 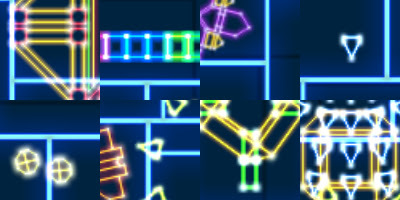 Your avatar can fire in four directions, creating lines. If those lines form a box, the triangles in the box are destroyed and you score points. Move with the arrow keys or joystick. Shoot in all four directions with W, A, S and D keys. Once a bullet is fired, it creates a trailing line. This line forms the edge of a box. Use four lines to create a box, trapping triangles inside. Any triangle touching a line will freeze in place until that line disappears. 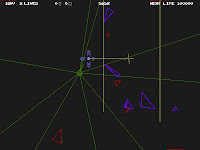 Once the line disappears the triangle becomes quite anxious to collide with the player. The amount of points you get for a box is dependant on the size of the box and the number of triangles inside it. 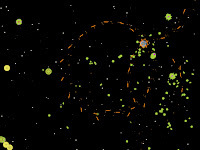 Temporary powerups disappear after five seconds, but effects granted by the permanent ones stay until the end of the game. Arcanacra is a new vertical shooter by Kei Mesuda, the same developer responsible for brilliant releases such as Nomltest FS, Invisible Vision and Quantized Blaze. Click on the screen to add credits. Press the Z key to shoot and hold the shift key to target enemies with your ship's homing lasers. The Cho Ren Sha 68K method of acquiring power-ups can also be used here, by staying in the middle of the circle and avoiding all items for a couple of seconds. Unfortunately this move does not reward the player with all collectibles. Switch between rapid and spread shot by holding either one or both shoot buttons. The boss of each stage can be beaten easily once your ship has a persistent lock on it, especially when the lock weapon has been upgraded. A larger game window is accessible by clicking on the second link from the bottom of the page. Two stages only. GameTunnel's May Monthly Round-Up was recently posted. 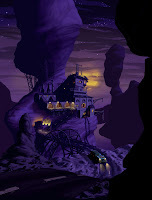 Screenshots and reviews available from GameTunnel. A combination of Front Line, Gun.Smoke, Space Invaders and Ikari Warriors, Non-Stop Action Hero is a decent action game that is impossible to lose. 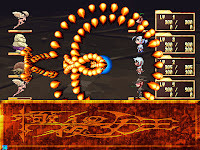 Every wave introduces a different weapon to use, and the ten stages included allow plenty of chance for the player to get accustomed to each. 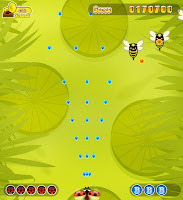 Bugs Attack is a short vertical shooter with four stages and the obligatory boss fights at the end of each. Autofire can be enabled by pressing the shift key. The bug follows your cursor around, hence cursor keys are never actually needed for this game. Use the space key to launch a bomb. Collect power-ups to upgrade your weapon. Bug Attack is also playable using a browser window. The second choice allows you to access a special boss rush mode. Binary Zoo is working on a new game, currently titled Tension. Dave Gilbert is expected to announce a sequel to The Blackwell Legacy on June 1st. A secret project will also be revealed on the same date. Artesneit is currently developing a new RPG. The teaser page for Lexaloffle's upcoming release, Jasper's Journeys is up. Captain Kickass is a new arena shooter by Nobody which mimics gameplay elements from Geometry Wars and several other similar arcade games. Firing is automatic, while the ship follows your cursor around hence cursor keys are never needed. Rotate your firing direction left or right by using the mouse buttons. Much like Ablation, power-ups can be collected immediately when they appear or be left alone to wander the screen until absolutely needed. Delay power-up effects by holding down the middle mouse button. Expect a full screen option, cooperative play, and a complete campaign mode to be included in future releases. Space Cabbage is a retro action game by Minion, based on an idea from an old BBC show about computers. 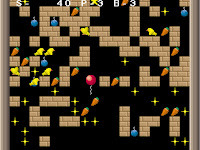 Incorporating elements from Space Invaders with vegetables for enemies, this release features nine stages with a final boss battle at the end if the player manages to survive long enough. Motocross Challenge is a free arcade game for the Game Boy Advance where players must speed through scenic locations while trying to handle high-flying action jump ramps. Key features such as suspension, automatic gear shift, spinning, quick accelerations, realistic collision reaction, bike vibration, crashes and various ground surfaces have been included to create a fun motocross racing experience. Featuring eight motocross bikes, seven tricks and ten tracks to unlock through thirty racing events. 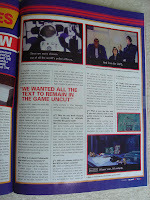 Scans from GamesTM were recently posted in the Junker HQ forums, specifically the Policenauts Translation Team interview. Each image is about 600KB in size. Japanese gamers still believe that Policenauts is Hideo Kojima's best work to date. The stack of paper on seen at the top right portion of the first page is actually the entire Policenauts script in both Japanese and English, printed out on A4 sheets. Release date for the English translation patch has been pushed back to late 2007. 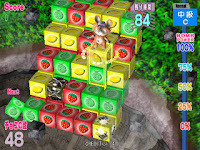 ChocoMarker is an average 3D puzzler made by Ecole, the same development team responsible for delivering the popular Melty Blood doujin fighting game series. The main objective is basically to sandwich blocks of the same color between two other blocks of a different color to remove them from the field. Complete each stage by freeing every single bomb block on screen before time runs out. Blocks with no color can easily be switched by using the same move. 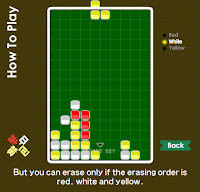 Red White Yellow is a new puzzler by SKT which is based on Tetris, but with a hint of Lumines in it. 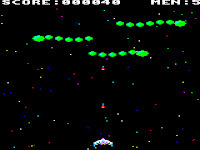 The objective of the game is to remove tiles from the screen by connecting six or more blocks of the same color are connected to each other. The current type of colored blocks which can be removed from the field switches whenever a chain is made. Half decent but not particularly impressive when compared to Blocksum. Knytt Stories should be released at the end of summer 2007. Here's a special preview of the soundtrack which will be sold together with the expansion pack to fund the development costs of future releases. Pixel reaffirms that Variant Interactive's PSP version of Cave Story is not supported by him. "The basic plot was... a corporation was getting rid of the roads, and instead people had to drive hover vehicles, which they would buy off the corporation. The story was about reclaiming the wheel. Ben was framed for the murder of Maureen, and was hounded by paparazzi, though one of the paparazzi was going to be friendly, and would help out a wee bit. There were also different gangs fighting. One called The Dragons, and they had flames coming out of the front of their bikes." Professor Fizzwizzle and the Molten Mystery will be released soon. The latest adventure consists of 210 levels to solve. 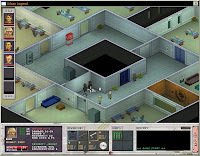 Urban Legend is an isometric turn-based strategy game with squad management. Created by Electronic Entertainment Studio, it features pixel graphics, a storyline based on conspiracy theories, capable AI, mercenaries for hire and a wide choice of futuristic weaponry. 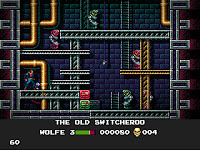 The demo features six levels with no time limit. - replay filenames now contain information about final score and last stage attempted. - the game window no longer has an accompanying menubar. 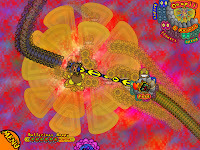 - new sound effects introduced, quality improved to 16-bit. - volume and window size controls now accessible by right clicking. 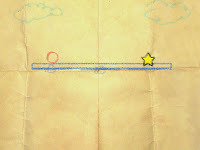 - the game will continue even when the window loses focus. Samieru announces that English instructions and a level editor will be added to Death Village soon, while stating that the character's actions are not random. Nigoro's next release could be out in a matter of days. 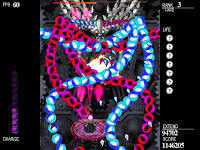 eXceed2nd-VAMPIRE REX- is a remake of FLAT's vertical shmup which mimics the polarity gameplay system made popular by Ikaruga. The color of the circle surrounding your character can be changed by tapping the C key. This will determine the type of enemy bullets that your ship absorbs while charging the special weapon in the process. Press the Z key to shoot and use the V key to bring up the pause menu. There are only four stages in this trial version. 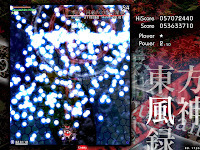 Dotechin is a horizontal number from Japan which attempts to fill the entire screen with destructible objects instead of the usual hail of bullets present in most modern day shmups. Your robot is equipped with some decent firepower so it isn't particularly difficult to make it from one stage to the other. Use the space key to skip cutscenes, tap the X key to shoot and press the shift key for a temporary boost. The Z key can be used to initiate a special attack, possible only when the smaller blue gauge at the top of the screen is full. The F1 function key can be used to pause the game. Select the second option from the main menu to start playing. If you lose, a continue option will appear as the first choice although progress is not saved when you exit the program. Use the free 7-Zip software to unpack the file. 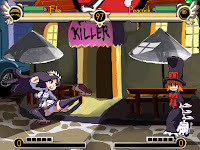 Skullgirls is a rare versus fighting game that isn't actually made using the popular Fighter Maker engine. The animations are jerky and default controls are rather awkward, with the I, O, K and L keys mapped to punches or kicks. The U key can be pressed for a defensive stance. A work in progress that shows some promise, but fans shouldn't expect anything more than a technical demo in it's current state. 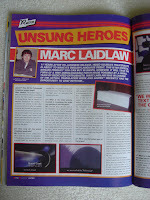 Here's a recent interview with Oddbob himself, the creator of G-Force and Beast Invaders sequels. A new trial version of Akatsuki BK was recently made available. Joypad is chosen as the default controller, so if you don't own a gamepad be sure to change this to keyboard controls using the config menu before playing. To get it to work, just right-click the config.exe file and set compatibility mode to Windows 200. Initially the screenshot itself caught my eye, especially because of my interest in art games. After reading a little more about the concept I was eager to try Blumenmacht (German for "flower power"). What I found is an intriguing twist on the top down shooter model. The twist is in fact rather substantial in that the game has become largely non-violent. You're no longer actually shooting down enemies, but engaging in a dance which fills the respective "ballerinas" with happiness. Some will undoubtedly be put off by this motif, while I was glad to see a game with such a unique artistic vision. I found the game to be a little frustrating at first. The amount of visual stimuli can certainly be overwhelming, and it took me many tries to actually figure out what I was doing, despite an in-game tutorial. In a way, this is to be expected with a new or revised game concept. 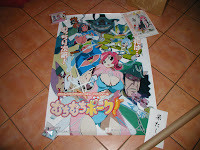 After some time, however, I realized that it was not quite as difficult as I thought it to be initially. If you bear with it, and learn the ropes, you'll find a very unique, stimulating, and enjoyable experience in Blumenmacht. Granted the game can see some improvements, and many have been suggestion in the forum thread. Yet there is something very good and appealing in its cacophony of colors and additional challenges will continue to present themselves in later levels. You can also view a gameplay video here, via YouTube.